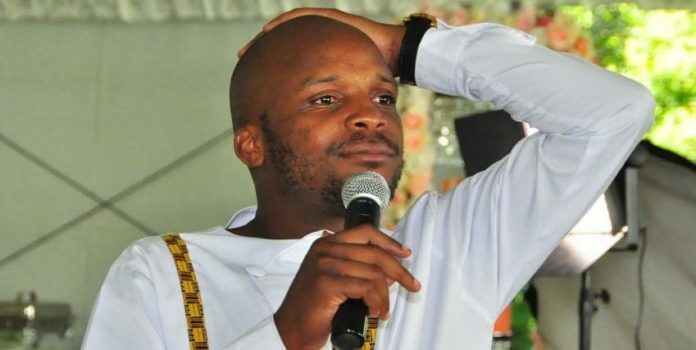 Comedian Jalang’o’s entry into the entertainment industry was not easy and he to persevere a lot in order to make a name for himself. The comedian, who is currently one of the most payed in Kenya, opened up of how he first landed to Nairobi as a house help. Speaking on Chipukeezy Show ON Ebru TV, Jalang’o opened up that his uncle showed him how to handle a few kitchen appliance when he arrived. The Milele FM breakfast show presenter said that his uncle had promised to get a job but hadn’t mentioned what type of work it will be. ”I came to Nairobi as a househelp. One of my uncles invited me to Nairobi, after arriving he showed me how use cookers and other household chores. After two weeks, he chased everyone from the house and I was the one left to do all the chores in the house,” Jalang’o revealed. Recounting his journey, Jalas went on to add that even dispite his tough start, he kept soldering on because he new what he wanted all a long. He wanted to be an actor. “But I did not stop because I knew what I wanted. I knew I had me myself and I,” he added.